Today is Taylored Expressions November new release day! There are six stamp sets, eighteen new dies, two embossing folders and more is now available for purchase at Taylored Expression Store! Today I am sharing with you a tag using P.S. You’re Welcome stamp set. These stamps are perfect to stamp on tags to go on gifts. I love all the cheeky sentiments on this stamp set. I have a project showcasing one of the stamp from this set. 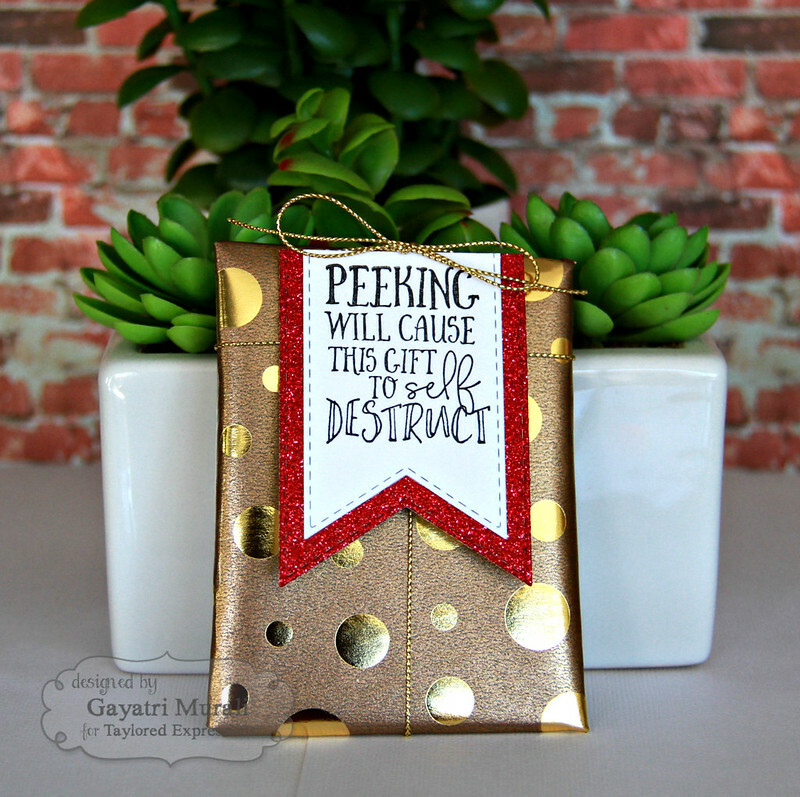 I have a little gift here packed with some gorgeous shiny wrapping paper. I tied the gift with May Arts gold twine. The tag is made using the new Stitched Banner Stacklets. I die cut the bigger banner using gold glitter paper and smaller one using Sugar Cube cardstock. I stamped the sentiment from P.S. You’re Welcome stamp set on the white banner. Then I layer the smaller banner over the large banner. Trimmed the top off to the size I wanted. I adhered this banner on the wrapped gift with a bow using the same gold twine. Would you like to know what the gift is????????????????? 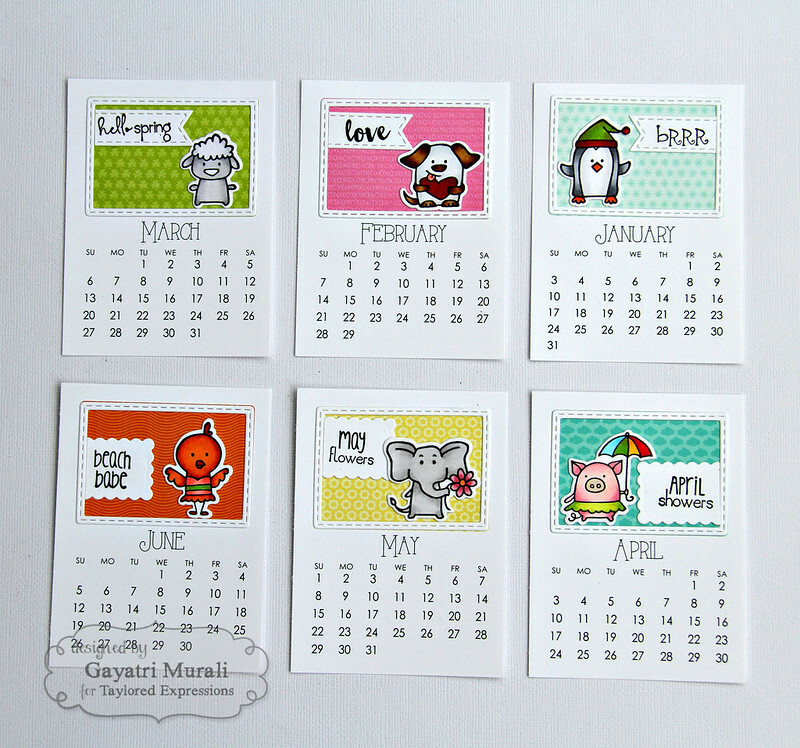 It is a cute 3×4 inch calender also from Taylored Expressions. 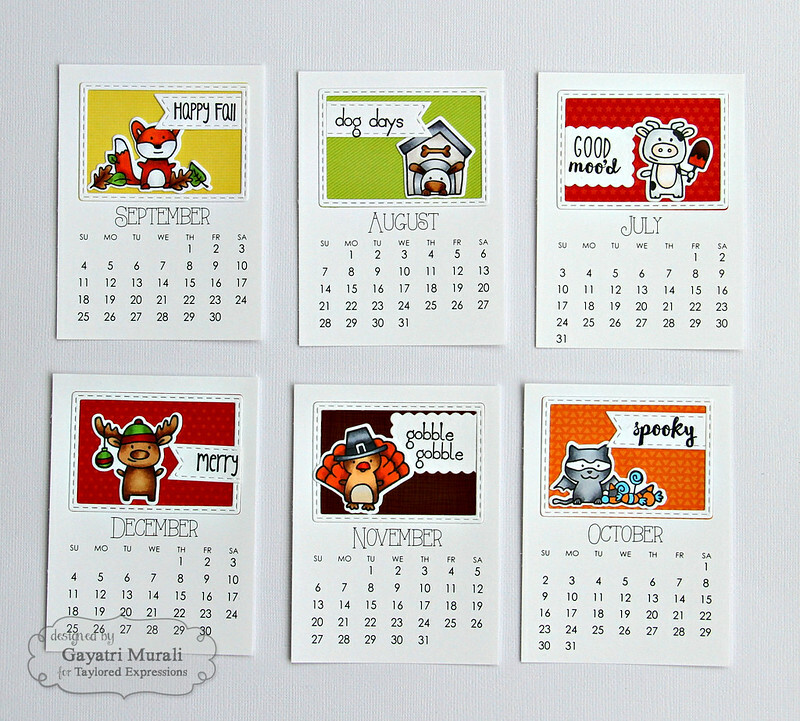 These are decorated with images and sentiment from Calender Critters, coordinating dies and Build a Scene: Calender dies. I kept them simple so that the calendar does not bulk up. The release from Taylored Expressions has everything you need to make new year cards, calenders and gift tags. There are also some Wonderful Watercolour panels printed with gorgeous doodles. They are awesome to colour using zig markers and make a quick card. I will share projects using the Wonderful Watercolour panels in the coming post. Beautiful packing!! Love the tag. The calendar pages are very cute!! Oh my gosh, how adorable! And your calendar is fabulous! Fabulous, Gayatri!! 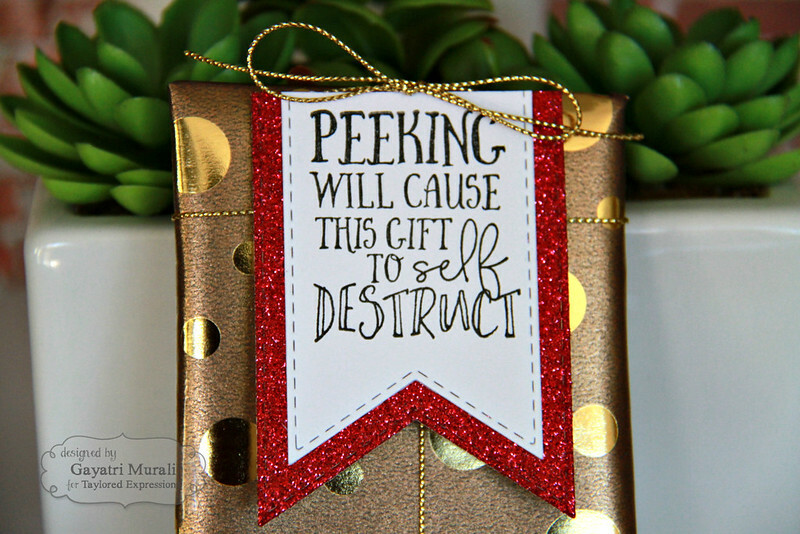 Love all the bling on the present/tag and your calendar is just the sweetest! !